Presenting the hydrating sheet mask stocked in every makeup artist’s kit. 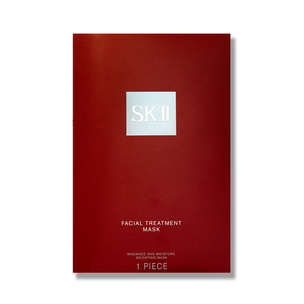 Even though there are thousands of sheet masks on the market (and we have tested a good majority of them), our artist community always goes back to the SK-II Facial Treatment Mask. It consistently delivers an immediately hydrated complexion and noticeable radiant skin. Enriched with Pitera, SK-II’s signature ingredient is infused with vitamins, amino acids, minerals, and organic acids to restore translucency, soften skin, and smooth texture. 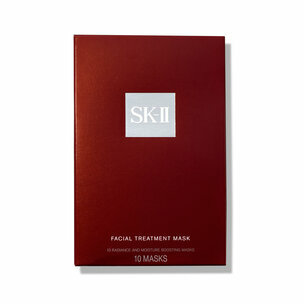 Think of it as the perfect treatment to bring your skin back to life after a summer filled with sun. Place the mask over the eye area first, then spread it over the rest of the face, making sure it is evenly distributed. Leave on for 5 to 15 minutes. After removing, pat in excess serum.